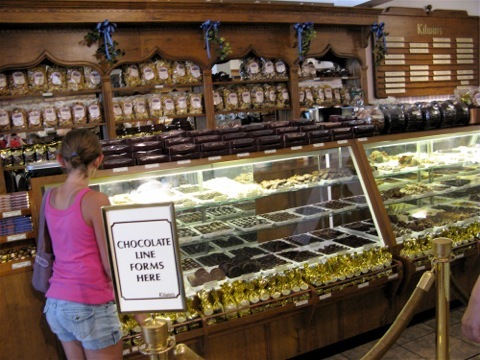 Anyone visiting the lakeshore knows the location of the nearest Kilwin’s Chocolates and Ice Cream Shoppe. Started in northern Michigan in 1947 by Don and Katy Kilwin, the brand has grown to over fifty stores nationwide under current owners Don and Robin McCarty. 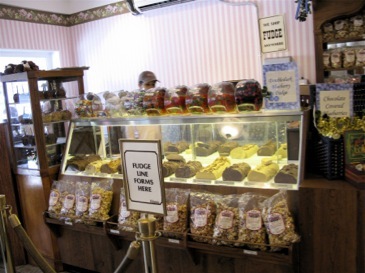 Whether you’re in the mood for custom fine chocolates, coconut clusters, or hand-paddled fudge, Kilwin’s is the place to be year round. 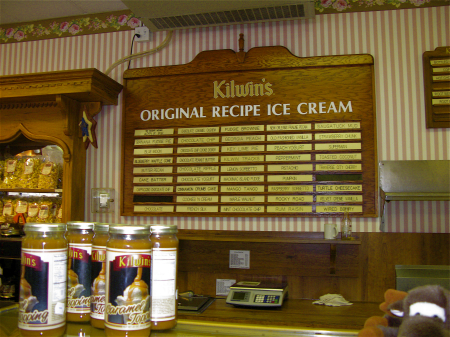 Don’t forget that Kilwin’s also sells ice cream in their stores, so after you’ve bought a bag of sea foam, salt water taffy or chocolate bon-bons, get a scoop or two of their hand-packed ice cream to help you stay cool on a warm day. 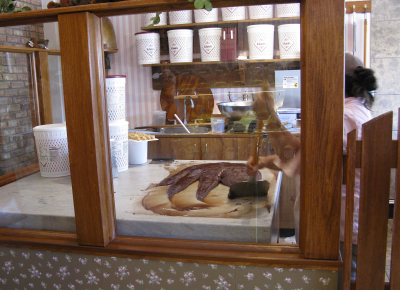 You may encounter a long line during summer season, but enjoy the wait with a free sample of chocolate while breathing in the delightful aromas of fudge – which is made on tables right across from the candy counter. 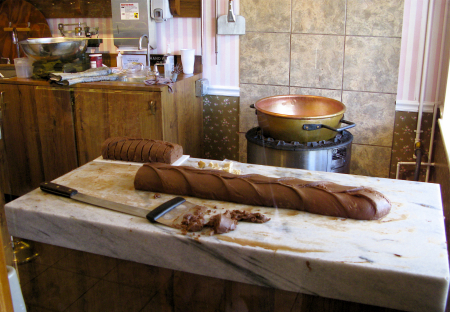 Keep in mind that when you buy chocolate covered nuts at the store, the nuts have all been roasted and salted at Kilwin’s. 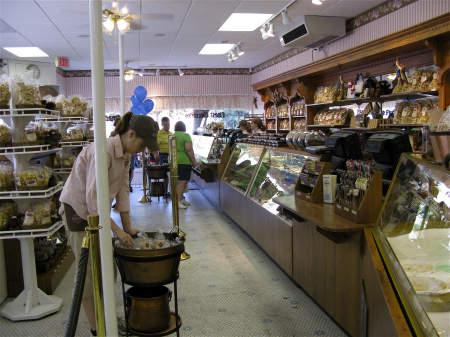 Here’s a very short list of the delightful confections available at Kilwin’s: almond toffee crunch, chocolate covered pretzels, fudge covered apples, bear claws, milk chocolate maltballs, chocolate espresso beans, caramel corn, peanut brittle, turtle fudge, jars of ice cream topping, truffles and sugar-free candy. 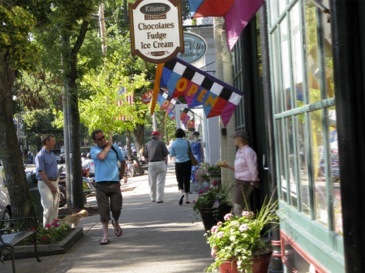 In fact, Kilwin’s sells over 500 products that are made in the store.